Time for the Sunday Scan! 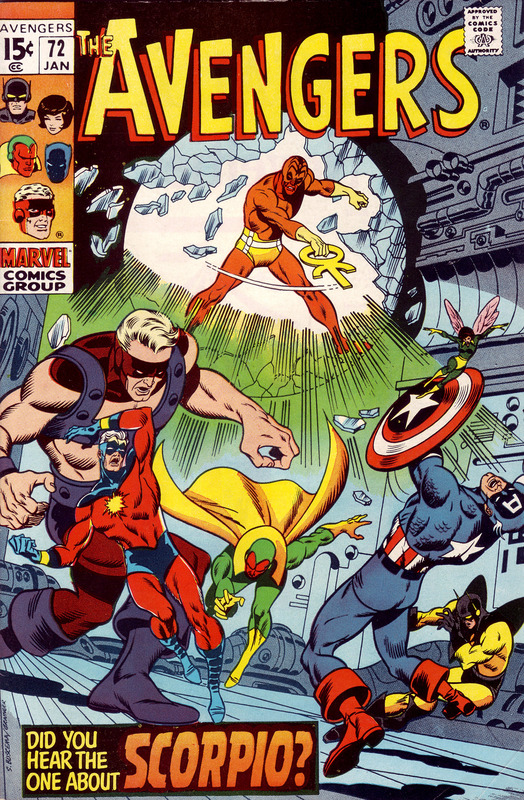 This week it’s Marvel’s Avengers #72 (1970). This colorful and dynamic cover is by the great Sal Buscema with inking by Sam Grainger. It features the psychedelic villain Scorpio. You don’t get much more late 60s/early seventies than this!